Manchester United Museum is to be found in Sir Matt Busby Way at Old Trafford, the Theatre of Dreams which is one of the world’s premier football stadiums and has the biggest capacity in the English Premiership (76,000, and growing!). The Manchester United Museum is the hub of the arena, housed in the North Stand and welcoming a quarter of a million people each year, delighting in a family day out to one of the world’s leading football clubs – and the richest, with a mean turnover of three-quarters of a billion pounds! A ticket to Manchester United Museum cannot get the holder into the Director’s box when matches are being played, but it does grant unrivalled views of the hallowed turf and many cherished items that ensure a memorable family day out, whether or not you’re a Red Devil. The Manchester United Museum was the country’s first designer football museum. It was unveiled in 1986 and remodelled in 1998, when it was blessed by Pele, and with more than 1000 exhibits and enlightening hands-on exhibits, it traces the growth of the Club from its early days (using another name and strip) in 1878. This follows the club’s progress to its first top-tier league championship of 1908, the treasure trove of silver won in the post-war era, notably the 1968 European Cup – the first achieved by an English team – and the 1999 treble, along with many tales of triumph and tragedy. It all adds up to an enthralling history and a gripping family day out. No family day out to Manchester United Museum could be complete without a An Audience With Sir Alex Ferguson. Holographic technology presents a 3-D image of the boss into a re-creation of his office. He then takes fans’ questions about his unrivalled achievements at the club and reveals his favourite United moments. The great man is captured with aplomb – though his trademark gum-chewing and remonstrating with officials is absent! – and Sir Alex himself noted, “I was absolutely delighted when I saw the finished product. It’s fantastic and goes in line with what Manchester United is all about. We like to try new things all the time, whether that’s on or off the pitch”. 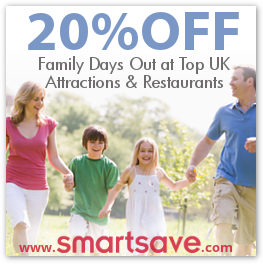 It makes for a whole new dimension and further enlivens a pleasurable family day out. The Manchester United Museum Man-U-Net interactive zone boasts an electronic archive where ticket holders can search a roll of honour containing every player to have worn the famous shirt in any competitive game since the club was established. Other cutting edge features are a search mode for your favourite goals, there’s a training challenge to put would-be players through their paces, a Reflex Wall to test ball skills, and visitors can even have a go at their own match commentary or test their footy knowledge in the Fanzone. Another big draw at this novel family attraction are a permanent kit display featuring everything from Sandy Turnbull’s shirt worn during the club’s first F.A. Cup triumph of 1909, to Brian Kidd’s 1968 European Cup final kit. Museum ticket holders can learn how the kit’s design, colours and materials have altered over the decades and there are photos and audio/ video clips of players through the years wearing everything from the baggy long shorts of the pre-War years, to the chafing short shorts of the 80s, as well as today’s medium-length shorts! It all adds up to a captivating family day out for anyone with an appreciation of the beautiful game and its growth over the decades. Furthermore, for a small signing-on fee, Manchester United Museum ticket holders can travel behind the scenes in unparalleled fashion, touring the Away and Home players’ changing rooms and player’s lounge (from which the manager is excluded unless invited by the captain!). In addition, there’s an exciting journey down the tunnel to the pitch and the lush turf of Old Trafford. What’s more, the Stadium Tour at Manchester United Museum takes in the lofty North Stand for a splendid view of the arena, while a grand family day out is topped off with a chance to stand in Sir Alex Ferguson’s dug-out – just the ticket! A ticket for the enthralling family attraction of Manchester United Museum also opens up the cafe/restaurant and Parking On Site, while wheelchair access and Disabled Parking ensure a top family day that everybody can enjoy. Dyed in the wool Reds can even be married in the club, making your own piece of history at the Manchester United Museum!